In the spirit of wayfinding, Claudia has simultaneously pursued multiple paths in her life. As a visual artist, her work has focused on how people construct meaning in a transient world. Her project Thoughts in Passing, a series of pencil portraits and interviews with hospice patients, was exhibited at the Smithsonian’s National Portrait Gallery, featured in the Washington Post, Huffington Post and San Francisco Chronicle and has been shared in universities, high schools, hospitals and senior living centers across the US and UK. Claudia has worked with young people around the world: as Program Manager of an internship program in Yosemite National Park for at-risk youth, leading art therapy workshops at an eating-disorder clinic in Los Angeles, teaching high school students in Uganda and volunteering at an HIV/AIDs orphanage in Tanzania. From 2010-2013 Claudia led marketing and operations for BlueOak, a Kleiner Perkins backed start-up tackling the electronic waste epidemic. Claudia holds a BA in Philosophy & Psychology from the University of Oxford and an MSc in Social Anthropology from University College London where she wrote her thesis on the cross-cultural use of metaphor as a means to help people dealing with mental health issues. She will be co-teaching a course called "Finding Your Purpose" at Stanford University from January 2019. A proud Denver native, Adrian Michael believes deeply that identity and purpose drive humans to make meaning. For the last decade he has helped shape the lives of youth in their pursuit of finding their way. As an elementary school teacher in Tulsa, Adrian Michael taught 2nd grade in one of the lowest performing schools in Oklahoma. At the Office of Diversity Affairs at the Leeds School of Business (University of Colorado) he worked primarily with first-generation college students. He is currently teaching an undergraduate course called "Wayfinding Your Purpose" at UC Berkeley. In 2014-2018 Adrian Michael served as the inaugural Director of Inclusivity at Colorado Academy while simultaneously teaching 7th grade social studies. During his tenure Adrian Michael re-branded diversity day and co-presented at the NAIS People of Color Conference. He helped engage the school in important conversations about race while facilitating cultural competency skill development across faculty and staff. Samantha is the founder of The Digital Behaviorist - a platform for counteracting screen addiction in adolescence + using social media for positive social change. Samantha was inpsired to start this dialogue about digital behavior during her work at Project Happiness where she grew an online community to over 3 million followers by delivering content based on the "7 Habits of Happiness." Everday for three years, she developed and published science-backed strategies for her followers to increase their well-being, such as the "Emotional Fitness Challenge". She also designed and implemented PH's social emotional curriculum that is now being implemented in 90 countries with 250,000 students. Samantha graduated from UC Berkeley with a B.A in psychology and worked as a researcher in Carol Dweck's Mindset Lab at Stanford, and within the Institute of Personality and Social Research at UC Berkeley. She brings her background in psych, education, and community organizing to building the Purpose Learning movement with Project Wayfinder. Alexx graduated from Brown University with degrees in Cognitive Neuroscience and Contemplative Psychology. Blending curriculum design, performing arts, neuroscience, and mindfulness, Alexx’s work explores the question of how young people can create meaningful and fulfilled lives both individually and in community with others. For the past seven years, Alexx has taught and designed leadership curriculum for students at United World College: International School of Asia, Karuizawa. She has worked with more than a dozen schools in various capacities, from speaker and retreat facilitator to admissions representative and dormitory parent at a boarding school. She has also facilitated workshops for students in UC Berkeley’s Pre-College Internship TRiO program, teachers and school professionals at the Brain Conference hosted by New York State Independent School Association, and medical students and professionals in Japan through Team Medics. Outside of her work in schools, Alexx hosts daylong experiences for her community, particularly for women and young people to color to explore themes of identity, connect to their sense of purpose, and cultivate practices of wellbeing. Tim Klein is an award-winning urban educator, clinical therapist and school counselor. He has spent the last decade working intensively with marginalized and underserved students to empower them to pursue meaningful and fulfilling lives. In addition to his work at Project Wayfinder, Tim is a Teaching Fellow at Harvard University and a a purpose researcher and design specialist at Boston College. Before joining Project Wayfinder, Tim was the Director of School and Community Engagement at Medford High School. In this role he implemented strategies that increased college matriculation by 30%. Prior to that, he spent five years as the Outreach Director for Summer Search, a national youth development non-profit serving historically underrepresented student populations. Tim is currently developing youth purpose curriculum with the National Science Foundation engage Massachusetts urban public school students in Massachusetts. To learn more about Tim's teaching career see this video from the Nellie Mae Foundation. 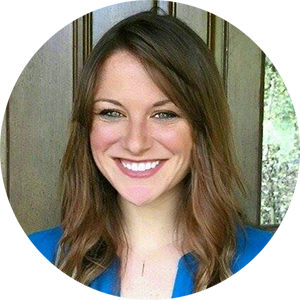 Elizabeth's passion for health, wellness and business development led her to begin her career at the American Lung Association where she focused on development management and fundraising. Later, she worked as an Executive Project Manager for a large multi-billion dollar real estate development firm where she learned the private business sector. Alongside Project Wayfinder, Elizabeth currently works in a diagnostic biotech firm that provides a diagnostic test for patients with Rheumatoid Arthritis. Outside of work, Elizabeth loves to travel and also volunteers for the Boys and Girls Club in San Francisco tutoring children, and for the SFSPCA fostering animals in need. She studied Pre-Doctorial Science at San Francisco State University and holds a Bachelor of Science degree from California State University, East Bay in Health Sciences, Pre-Clinical Nursing. Patrick is a leader in reimagining adolescent education through the lens of purpose learning. In 2015-2016, Patrick was an education innovation fellow at Stanford's d.school striving to answer a specific question: How do we help high school students craft meaningful lives? A year later, Project Wayfinder was born. Patrick is a serial social entrepreneur. Over the last decade, he launched a number of programs and organizations including Inward Bound Mindfulness Education, Back to Earth, and Brown University’s Social Innovation Initiative. He also spent five years working as a human rights advocate in Burma. These experiences became the ingredients and backbone for the launch of Project Wayfinder at the Stanford d.school. Patrick is a longtime wilderness guide who has been deeply influenced by the history and practices of native traditions around the world. He is a graduate of the Tracking Project’s community mentoring training– a program focused on how to respectfully and thoughtfully bring native wisdom into the modern world. Patrick has spoken at more than 100 schools including Duke, Yale, and UCLA. He has been featured in the Washington Post, Boston Globe, and NPR and written for Stanford Social Innovation Review, Edutopia, UC Berkeley’s Greater Good and the recently published book Purpose Rising. Patrick is an All-American high school lacrosse player, Fulbright Scholar, Brown University graduate, and lecturer at Stanford University. He is currently co-teaching a course called "Finding Your Purpose" at Stanford University. Hye Jung is currently the Community Innovation Coordinator at Education Incubator. Before switching over to her current position, she worked with youth in public, charter, and independent K-12 schools, including ‘Iolani School and the University Laboratory School in Honolulu. Hye Jung is a volunteer crew member of the Polynesian Voyaging Society and leads its after-school youth group called, Nā Kelamoku. Upon graduating from the University of Central Florida, she attended the University of Hawaiʻi at Mānoa for her masters degree in mathematics. She served as a fellow at the National Science Foundation’s GK-12 program. Chris Rudd is a community organizer with a passion for social justice. He has worked the past several years with gang-involved youth on the south and west sides of his native Chicago, challenging them to engage with their communities through activism and technology. Chris is the former director of the Juvenile Justice Council (JJC) at Mikva Challenge, working with students to develop an app called Expunge.io, which connects youth with pro bono lawyers to complete the expungement process. Chris is the founder of Chi-by-Design combining social justice and design. He is a former Stanford d.school education innovation fellow. Makeda is a certified youth life coach and emotional intelligence educator. As a staff developer for the Morningside Center for Teaching Social Responsibility, Makeda trains teachers and school administrators in social emotional skill-building and restorative practices. A passionate youth advocate, she also supports students in finding their voices in personal expression. Makeda's collaboration with Milwaukie High School's after-school program was awarded the inaugural Yale Center for Emotional Intelligence Changemakers Award in 2016. Her independent firm, Mosaics In The Making, serves individuals and organizations around the world by introducing techniques of mindfulness and emotional intelligence that help navigate our increasingly complex world. Kate’s educational journey started by supporting sixth form students to mobilise social action projects. She has developed an alumni programme for The Challenge Network, supported teachers to champion citizenship and self esteem, and coached high school students with Yes Futures. Kate also spent a summer with the Otesha Project running workshops on environmental and social justice while cycling and camping around Scotland and living in a nomadic, sustainable community. Kate currently works in East London in a preventative mental health service where she trains teachers and youth workers and leads targeted interventions in primary and secondary schools. Outside of work, she organizes an annual community street party on her block, and coaches her own client base. Alessandra is a storyteller, educator, and community builder who delights in bringing people together, facilitating others on the path to empowerment, and crafting meaningful, evocative narratives harnessing the power of words. Alessandra has written for publications including San Francisco Magazine, Bust, and Vox, taught and lectured at Brown University, Ohio State University, and the Prison University Project at San Quentin State Prison. She has produced radio pieces for KQED and Youth Radio, and worked as a narrative specialist with IDEO. Currently, she is Senior Producer and Community Engagement Lead at the Stanford Storytelling Project, where she helps members of the Stanford community learn to use stories and storytelling to deepen their understanding of themselves and the world. Alessandra holds a BA from Brown University in English, and a MFA in Creative Nonfiction from Ohio State University. Scott is the Program Development Specialist for the Center for Advanced Professional Studies, an award-winning innovative high school program in Kansas City. He is the learning architect behind the CAPS accelerator which supports student startups and innovative thinking. Much of Scott’s time is spent seeking out best practices in education innovation which led the CAPS team to discover Project Wayfinder. Since both programs specialize in self-discovery, exploration, and purpose-based education, it was a natural fit to bring the Wayfinder Toolkit into the CAPS student experience. As a pilot partner, Scott has observed the direct impact the curriculum can have on students and appreciates the disarming conversations that spring from the activities. Nirali is a mindfulness educator and counselor. She has spent thousands of hours meditating in silent retreats in monasteries, meditation centers, cells and forests in Asia and the United States. She lives in the San Francisco Bay Area and currently teaches with Google, Stanford University, Insight Meditation Center, Spirit Rock, and Inward Bound Mindfulness Education. She is the founder of Shvaas, a non-profit platform in India that streamlined efforts of hundreds of volunteers to work on meaningful social change projects on ecology and social justice. She is a certified mindfulness facilitator from UCLA's Mindful Awareness Research Center, part of the Semel Institute for Neuroscience and Human Behavior. Raiki is the co-founder of ImaginEx, a Japanese-based program that equips students and educators with life-long learning skills. He was one of the founding team members of Japan’s first fully residential high school and Japan’s only United World College - UWC ISAK Japan. At ISAK he was the Summer School Director and a facilitator of ISAK’s mindfulness + design-based leadership curriculum. Raiki has worked as a researcher in hepatitis-C vaccine development, spent several years as a professional Japanese taiko drummer in Ondekoza, and holds a Bachelor of Science degree in Human Biology from Brown University. He has held workshops and classes for over 7,000 students in 40 different cities around the world. Terri joins Project Wayfinder after a 20-year teaching career. For the last fifteen years, Terri taught at Palo Alto’s most progressive alternative public school, Ohlone School. Terri is a firm believer in the power of combining academic and social emotional curriculum. She was a curriculum contributor for Project Happiness - a leading K-5 social emotional learning curriculum. Before Ohlone, she was an art teacher with Spectra Art. Terri holds degrees in art and organizational behavior, and masters degrees in psychology and education, all of which have been her purpose and her passion over the years. Enrique is a meditation teacher and educator. He currently works as an instructor for Challenge Day where he facilitates social and emotional learning workshops for thousands of young people all over the country. Enrique’s skill with teens has led to teach internationally for Inward Bound Mindfulness Education. He is on the Guiding Teacher Counsel and Equity and Interdependence Committee for Inward Bound. Enrique is a frequent co-facilitator for teens at Spirit Rock and a committed advocate for bringing meditative interventions into jails and addiction treatment facilities. He believes deeply in the power of marginalized voices to change the world. While earning a PhD in Architecture at the University of California, Berkeley, she became a professor at San Quentin State Prison as part of the Prison University Project. The challenge of forming deep and lasting connections with students interested her more than architecture and she decided to turn toward social work instead of academia. Mia now teaches restorative justice at San Francisco County Jail, helping students plan for successful reentry through restorative activities including conflict resolution and reconciliation. She is also the Deputy Director for No More Tears, a violence- and crime-prevention program at San Quentin State Prison. No More Tears participants discuss the issues underlying violent behavior, practice deescalation tactics, and work to develop a vision of how we want to live together in our communities. Mia is currently studying for a Masters in Social Work at Smith College. Matt is an Engineer, Designer, and Wilderness Educator. His technical expertise is in renewable energy and sustainable materials; he has designed + built products, equipment, and factories. A lifelong passion for nature connection led him to an immersive study of traditional skills including living a completely stone-age lifestyle in the Cascade mountains for a year. Matt has taught and facilitated groups of youth from elementary school through university age, including leading young men’s wilderness trips with W.I.L.D. He is currently working with Google X to develop new technologies that can combat climate change. Matt holds dual degrees from Brown University in Mechanical Engineering and Visual Arts. For over thirty years, Dave has focused on the foundations of wellbeing, healthy communities, and leadership. After a twenty-year career teaching human development and neuroscience in independent schools, he founded Applied Attention to help individuals, teams, and organizations focus their attention and energy where it will make the greatest positive difference. Drawing upon modern scientific research and enduring wisdom, he have has worked with leaders, educators, executives, parents, students, and athletes all over the world. He holds degrees in biology from Williams College, a Master’s in Humanistic and Multicultural Education from SUNY New Paltz, and a clinical internship in Mindfulness Based Stress Reduction (MBSR) at the University of Massachusetts Medical Center. in traditional public schools in Northern Virginia and Hawai’i. Matthew is an educator and artist originally from South Texas. By day, he runs the Dance & Yoga Program at Trinity Academy for the Performing Arts in Providence, RI - a public charter school for grades 7-12. By night, he works as a practicing artist, coordinates community restorative yoga programs, and teaches Theatre in the Rhode Island Prison. Garza enjoys facilitating workshops on Art, Oppression, Mindfulness, and Raising Youth Voice at conferences and in professional development settings. He graduated from Brown University and New York University, where he studied the history of education, teaching, and performance art. Dashielle has spent much of the last 10 years dedicated to deepening in her own relationship with the wilderness. During this time she has spent a total of almost 2 years backpacking in various wildernesses, primarily in the Sierra Nevada. She has guided 70+ multi day wilderness programs with youth and adults while Director of Back to Earth Outdoors and since then through her own company, Illumin. She leads vision quests for Sonoma Academy and has a long history of working successfully with teenagers in rites-of-passage ceremonies. Dashielle graduated from UC Berkeley with a degree in Peace and Conflict studies. Kyle is a forester, musician & community organizer working at the intersections of environmental justice and radical cultural change. 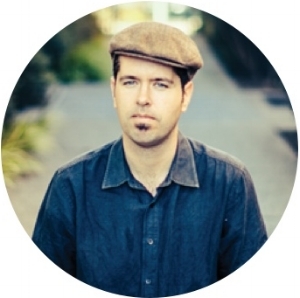 When he is not planting trees, Kyle serves as founder and co-director of the Thrive Choir, which performs original gospel-inspired music for social justice at festivals, conferences and direct actions across California. Kyle is an official delegate with SustainUS and the US People’s Delegation to the United Nations Climate Talks. 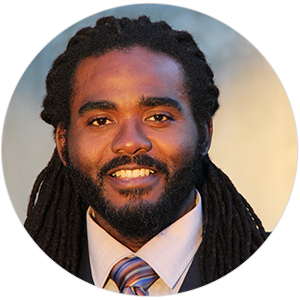 He is an inaugural recipient of the Spiritual Ecology Fellowship and Co-Director of Lead to Life - a project that uses ceremonies to heal violence at sites across Oakland and Atlanta. Kyle is a graduate of Brown University. After starting a successful career in biomedical research, Erin switched paths to follow her passion for education to the Blue Valley CAPS program where she is in her third year teaching Foundations of Medicine to high school juniors and seniors. During her time at BV CAPS, she has contributed to innovative work on project design, professional skill development, and how to help high school students discover passion and purpose in their lives.. Erin has a Bachelor’s degree in Biology from Truman State University, a Master’s degree in Molecular Physiology from the University of Kansas Medical Center, and a Master’s degree in Teaching from Pittsburg State University. 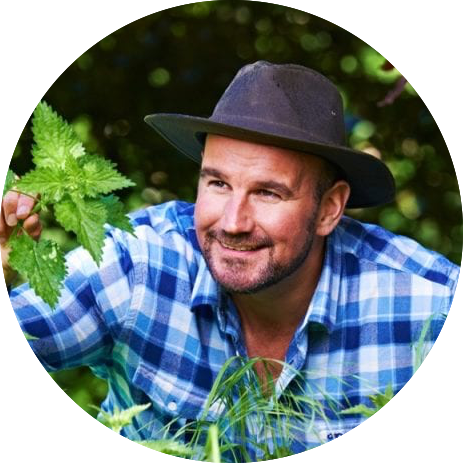 Lawrence has spent the past 20 years guiding and instructing people in wild places all over the world. To date, Lawrence has spent more than seven years in the wilderness and 1,000+ days leading various wilderness expeditions around the world. He has led trips for Prescott College, the Eagle Rock School, the Dunn School, Outward Bound, and Inward Bound Mindfulness Education. In addition to wilderness guiding, Lawrence has spent the past 12 years practicing mindfulness meditation and various styles of yoga. Leading wilderness exploration courses combined with mindfulness fulfills Lawrence’s deepest sense of purpose. Adam is a licensed psychotherapist in the San Francisco Bay Area. He is passionate about supporting children, adolescents, and young adults navigate through life's challenges, placing particular emphasis on working with LGBTQ+ youth. Prior to opening his private practice, Adam spent five years working in elementary, middle, and high schools as a mental health counselor. In addition to supporting students at the individual and group level, Adam led in-services for teachers and staff around creating a more LGBTQ+ inclusive school culture, responding to students crises and mental health needs, and maintaining personal self-care practices.